Designation: Assistant Professor of Medical Genetics at University of Siena, Italy. Research Interest: Dissect the molecular and genetic bases of LC mainly in never smoker young patients, following an innovative “omics” approach which will integrate genomic (WES) and transcriptomic (RNAseq) data. Biography: Dr. Frullanti Elisa is an Assistant Professor of Medical Genetics at University of Siena, Italy. 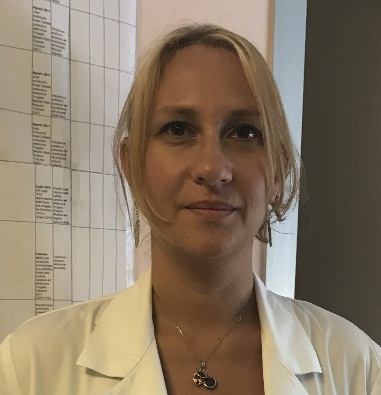 She has been working in the field of LC genetics for ten years first in Milan, at Fondazione IRCCS Isitituto Nazionale Tumori (INT), in the research unit directed by Dr. Tommaso A. Dragani (2006-2012), and then at University of Siena - AOUS (2013-today), in the Medical Genetics unit directed by Prof. Alessandra Renieri. During the 4 years of her PhD (2007-2011) at INT in collaboration with the Open University (London), Dr. Frullanti autonomously conducted her research project aimed to identify functional genetic elements associated with LC prognosis through genome wide association studies, genetic linkage, and transcriptome studies. In 2010, she won an AIRC “Triennal Fellowship 2010-2012 Antonietta Andreoli” to carry out this project, leading to 3 publications in which she was first author (Frullanti E. et al. Clin Cancer Res. 2011; Frullanti E. et al. Int J Cancer. 2012; Frullanti et al. Eur J Cancer Prev. 2011) and one publication in which she was co-first author (Galvan A, Frullanti E [contributed equally] et al. Carcinogenesis 2013). In 2011, she won the “Galilei Giovani” Young Research Scientist Award, Rotary International (District 2100, Italy) for her research. She then received two annual research fellowships, “Young Investigator Programme 2013” and “Post-Doctoral Fellowships 2015”, funded by Fondazione Umberto Veronesi. During this period, she improved her experience in genetic bases of LC and other diseases using new advanced genetic techniques such as exome sequencing, publishing three papers as last author (Renieri A et al. Lung Cancer 2014; Imperator V et al. Int J Mol Med. 2016; Bianciardi L et al. Mol Genet Metab. 2016). This further supports her ability in conducting and coordinating research projects. 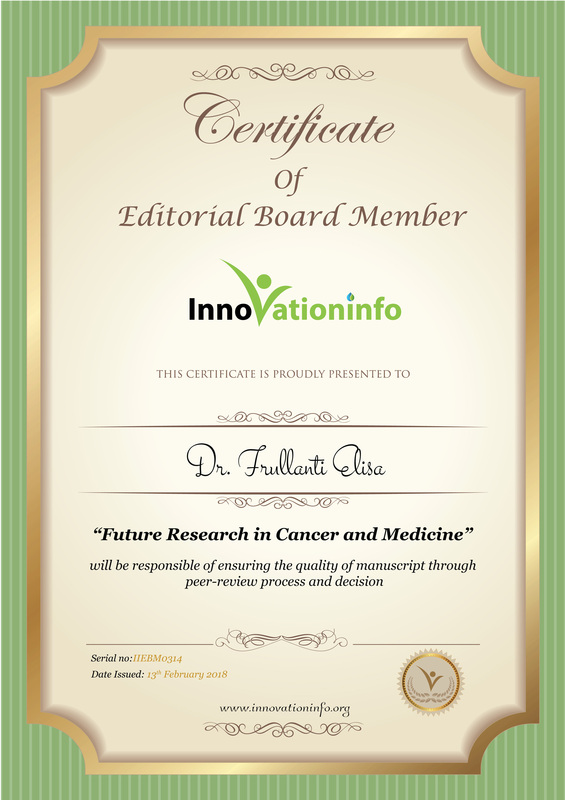 The research activity of Dr. Frullanti is substantiated by 22 original articles with a total IF of more than 120 and H-index of 8 (G-index: 15).